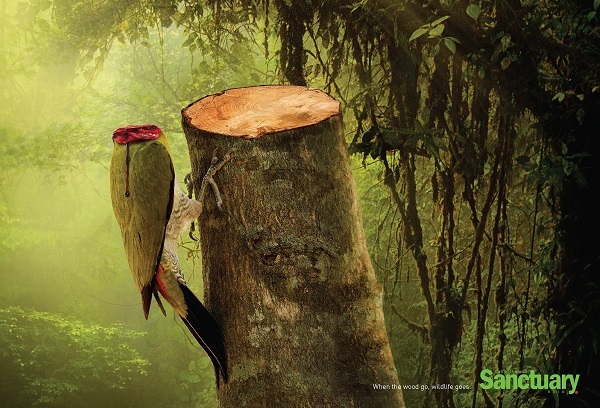 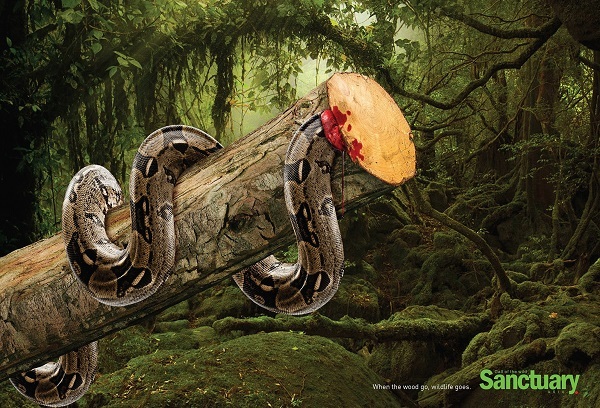 Creative director Ganesh Prasad Acharya and copywriter Kaushik Katty Roy have created a series of shocking concept print ads for Sanctuary India that show how habitat destruction affects wildlife. 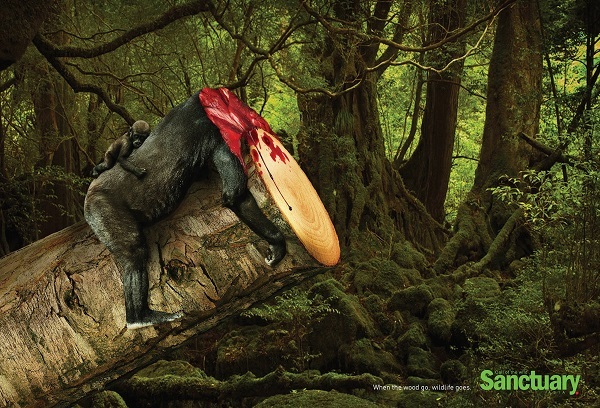 Arresting and disturbing, they are a reminder to look after the environment before these beautiful creatures disappear. 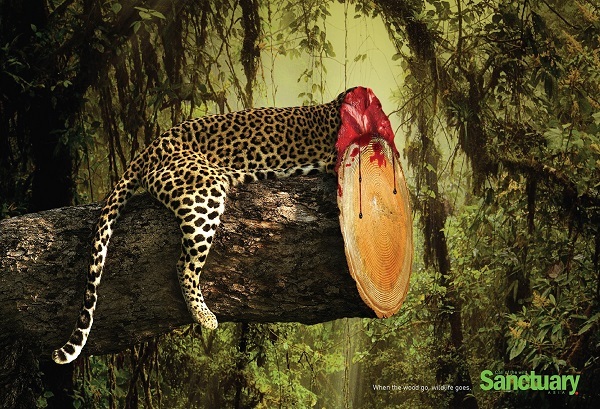 Check out the ads below.